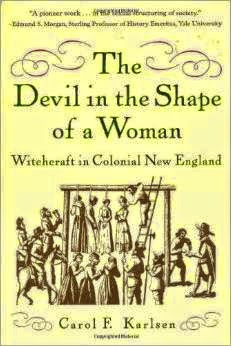 If you are interested in an in-depth look at Witchcraft in New England I would recommend you read a great book by Carol F. Karlsen called The Devil in the Shape of a Woman Witchcraft in Colonial New England. It is a facinating look at the Puritan ideas on Womanhood and the Woman's place in the world. The book discusses witchcraft beliefs, economic and demographic basis for witchcraft. Reading it makes me glad I was born in the 21st century.